Mapping cultural heritage in the city of Sofia. A project by Morphocode. 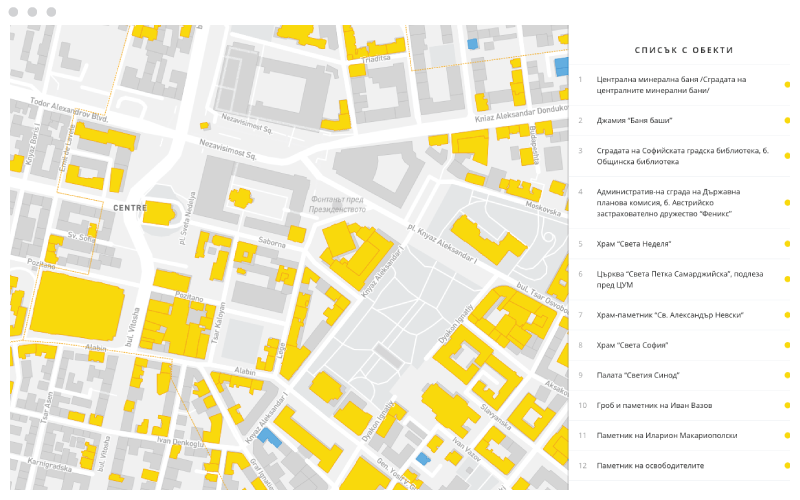 The map displays more than 800 buildings and urban artifacts that are part of Sofia's tangible cultural heritage. The goal of the project is to inform a broader public discussion about the importance of preserving cultural heritage in Sofia and to raise awareness about its current state, that in some cases happens to be irreversibly neglected or in danger of loosing its authenticity. By using data from public registers and visualizing it via modern web technologies, the map aims at making this entity visible and its state - recognizable. We believe that casting light on this essential layer of cultural heritage is an important step in acknowledging its impact on the city's form and structure. 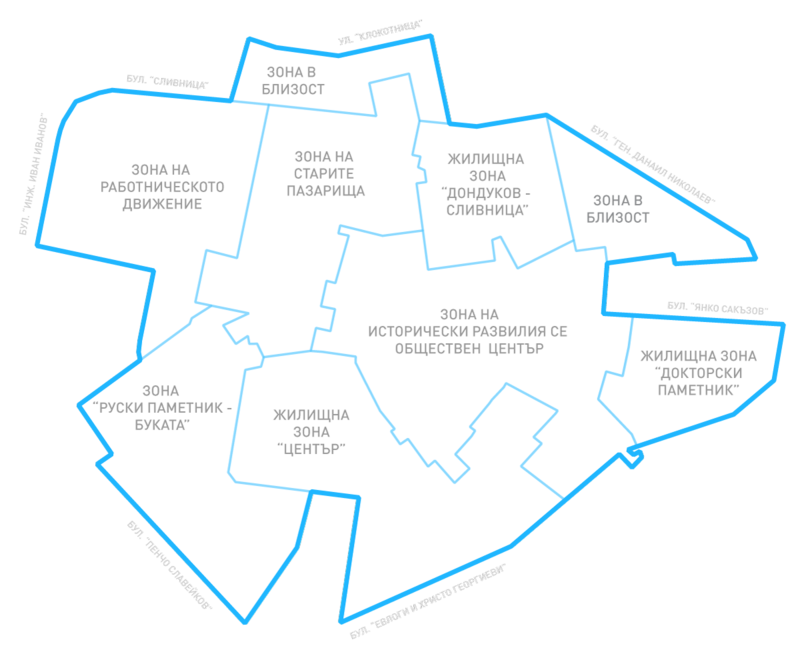 The buildings listed in the map are distributed in several cultural heritage protection zones within the boundaries of Sofia's compact urban core. An inner ring road, joining six major boulevards defines the outermost limits of this central area, which is characterized by a good pedestrian scale and a variety of street level activities. The city's identity is continuously manifested through the spatial relationships between these elements of cultural heritage and is highly dependent on their preservation. They are various in type and scale, extending from commercial and educational facilities to small single-family houses and memorials. The data is contained in the National Register of Cultural Heritage Properties, which is currently available only on paper. The lack of an online database of cultural heritage properties contributes to the growing number of neglected buildings. In attempt to make this information visible, the project maps each of the buildings in the city center by digitizing the available information. The custom interactive map built with Mapbox Gl, d3.js and Google street view casts light on the list of buildings and gives detailed information about current state, preservation status and geographic location. Data Mining Data is scraped and stored in a machine-readable format. Geocoding Geographic location is determined based on address and cadastral data. Verification Missing information is obtained from the dossiers stored in the National archive. Spatial Analysis Geospatial analisys is performed to find summary statistics and enrich data. Mapping Buildings are added to the map and styled according to their preservation status. Web Application Mapbox GL, d3, basscss and other open standards are used to build the interactive web app. This web application has been developed by Morphocode. The basemap is provided by Mapbox and Open Street Map. Spatial analysis and data mining are performed with Pandas and Geopandas. The interactive map is built with Mapbox-GL and d3-js. Basscss is used to provide a responsive design, icons are designed by Freepik and distributed by Flaticon. We would like to thank arch. Milena Lozanova, arch. Galina Ivancheva, arch. Iva Tzalovska and Ilya Mechkov for their help. Special thanks go to lawyer Maria Derelieva. Morphocode is an Architectural Practice working at the Intersection of Design and Technology. The studio is led by arch. Greta Dimitrova and arch. Kiril Mandov and specializes in urban data visualization. The studio's work has been published in leading online media such as Yahoo News, Citylab, Inhabitat, DesignBoom and many more. Their project Urban Layers was selected by Simon Rogers - Data editor at Google - among the top 10 interactive infographics in the book "The Best American Infographics 2015". 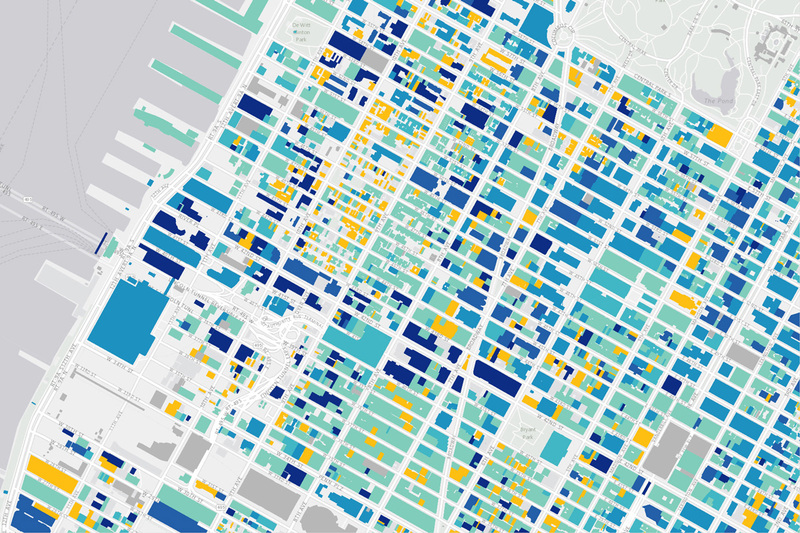 Interactive visualization that explores the historical layers of Manhattan’s built environment, revealing hidden patterns and preserved fragments. 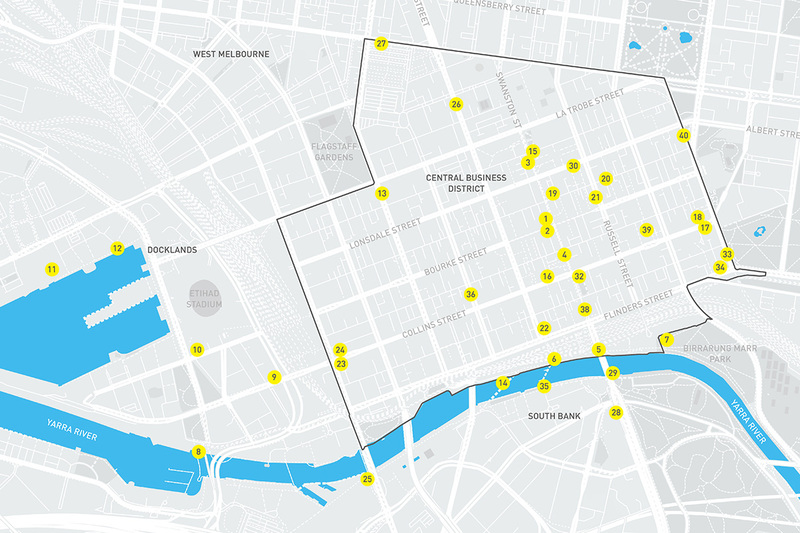 Exploring mobility patterns in Melbourne by analizing open data from the city's pedestrian counting system. 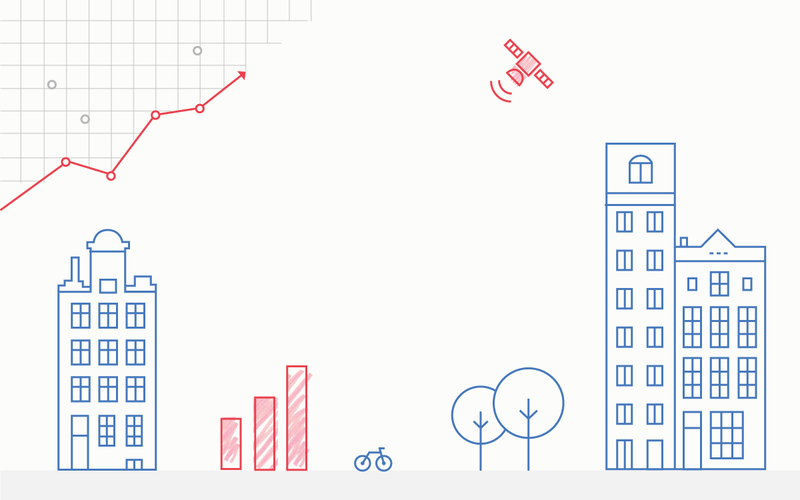 The Academy is an online learning platform covering topics in urban informatics, web mapping and data science. Useful links, tutorials and news delivered directly to your inbox! It seems that your browser does not support WebGL. Please, make sure you're using a modern browser (Chrome, Firefox, IE 11+) and WebGL is enabled. "Street View" is missing for the selected building. 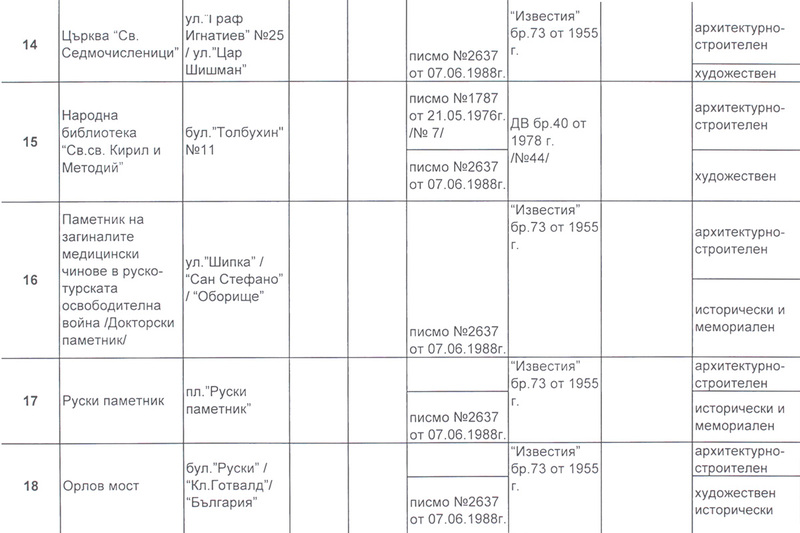 Data is extracted from the National Register of Cultural Heritage Properties maintained by NINKN.